Received his B.S.E. at the University of Michigan in 1946, M.S.E. University of Michigan, 1948, and Ph. D. Stanford University, 1951. From 1951-1955 he worked at Hughes Aircraft Company on microwave tubes, including resistive-wall, reactive-wall and rippled-wall amplifiers, as well as periodic structures (e.g., ring-bar helix) and large-C analysis for high power traveling-wave tubes, leading to the first multikilowatt TWT at X-band. From 1955-59 he was at the General Electric Microwave Laboratory as leader of the electron physics group, with work on electron guns, streams and traveling-wave tubes. The work at Hughes and General Electric led to publication of 14 journal articles, granting of 27 patents (most co-authored) and election to Fellow of IEEE. In 1959 he joined the Electrical Engineering Department, UC Berkeley. 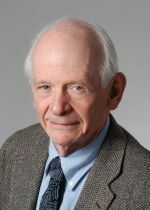 Professor Birdsall passed away in 2012. W. D. Qiu, K. J. Bowers, and C. K. Birdsall, "Electron series resonant discharges: comparison between simulation and experiment," Plasma Sources, Science and Technology, vol. 12, no. 1, pp. 57-68, Feb. 2003. W. Qiu and C. K. Birdsall, "Verification of magnetized electron series resonance from 1-D plasma diode noise current," IEEE Trans. Plasma Science, vol. 30, no. 5, pt. 2, pp. 2035-2041., Oct. 2002. D. J. Cooperberg and C. K. Birdsall, "Series resonance sustained plasmas in a metal bound plasma slab," Plasma Sources, Science and Technology, vol. 7, no. 2, pp. 96-113, May 1998. D. J. Cooperberg and C. K. Birdsall, "Unmagnetized sheath waves," Czechoslovak journal of physics, vol. 48, pp. 81-90, Feb. 1998. D. J. Cooperberg and C. K. Birdsall, "Surface wave sustained plasmas in a metal bound plasma slab," Plasma Sources, Science and Technology, vol. 7, no. 1, pp. 41-53, Feb. 1998. C. K. Birdsall and D. Fuss, "Clouds-in-clouds, clouds-in-cells physics for many-body plasma simulation," J. Computational Physics, vol. 135, no. 2, pp. 141-148, Aug. 1997. C. K. Birdsall, "Particle-in-cell charged-particle simulations, plus Monte Carlo collisions with neutral atoms, PIC-MCC," IEEE Trans. Plasma Science, vol. 19, no. 2, pp. 65-85, April 1991. C. K. Birdsall and A. B. Langdon, Plasma Physics via Computer Simulation, S. Cowley, P. Stott, and H. Wilhelmsson, Eds., Plasma Physics Series, Philadelphia, PA: Institute of Physics Publishing, 1991. H. Okuda and C. K. Birdsall, "Collisions in a plasma of finite-size particles," Physics of Fluids, vol. 13, no. 8, pp. 2123-2134, Aug. 1970. A. B. Langdon and C. K. Birdsall, "Theory of plasma simulation using finite-size particles," Physics of Fluids, vol. 13, no. 8, pp. 2115-2122, Aug. 1970. C. K. Birdsall, A. B. Langdon, C. F. McKee, H. Okuda, and D. Wong, "Theory and experiments for a plasma consisting of clouds interacting with clouds (CIC) with and without a spatial grid," in Proc. 2nd APS Topical Conf. on Numerical Simulation of Plasma, 1968. C. K. Birdsall and D. Fuss, "Cloud-in-cell computer experiments in two and three dimensions," in Proc. 2nd APS Topical Conf. on Numerical Simulation of Plasma, 1968. C. K. Birdsall and W. B. Bridges, Electron Dynamics of Diode Regions, New York: Academic Press, 1966. W. B. Bridges and C. K. Birdsall, "Space-charge instabilities in electron diodes. II," J. Applied Physics, vol. 34, no. 10, pp. 2946-2955, Oct. 1963. C. K. Birdsall and W. B. Bridges, "Space-charge instabilities in electron diodes and plasma converters," J. Applied Physics, vol. 32, no. 12, pp. 2611-2618, Dec. 1961. C. K. Birdsall and J. R. Whinnery, "Waves in an electron stream with general admittance walls," J. Applied Physics, vol. 24, no. 3, pp. 314-323, March 1953.